This strong-flying and mainly immigrant butterfly always settles with its wings closed and so the dark borders on the upper sides of the wings are only visible when in flight. 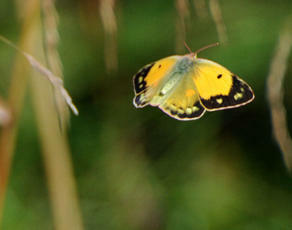 This species is sometimes mistaken in flight for one of the commoner 'whites' but the orange-yellow colour is quite distinctive and unlike any other species. Males lack the ring of yellow spots within the black upperwing edges. This butterfly can be found in just about any open habitat in the countryside, including coastal cliffs, open downland and fields containing the larval food plants of Clovers, Lucerne and Common Bird's-foot-trefoil. 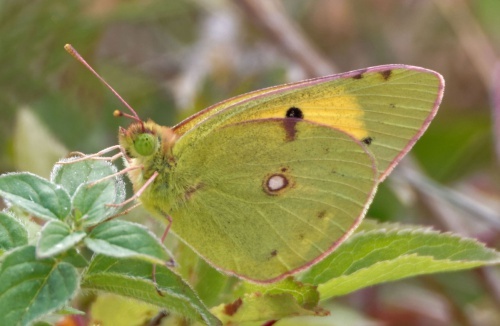 The first immigrants of this species start to arrive at our shores in late May or early June, with much larger numbers appearing in July and August, as the offspring of the first arrivals mingle with new immigrants. 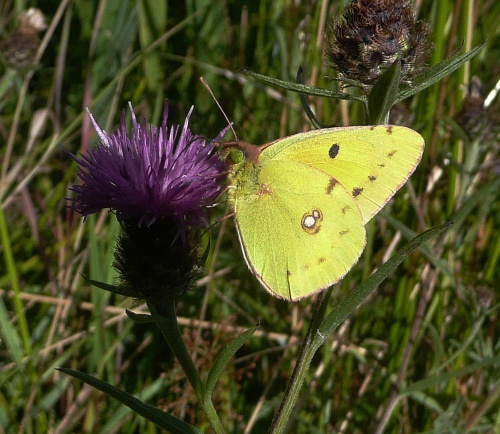 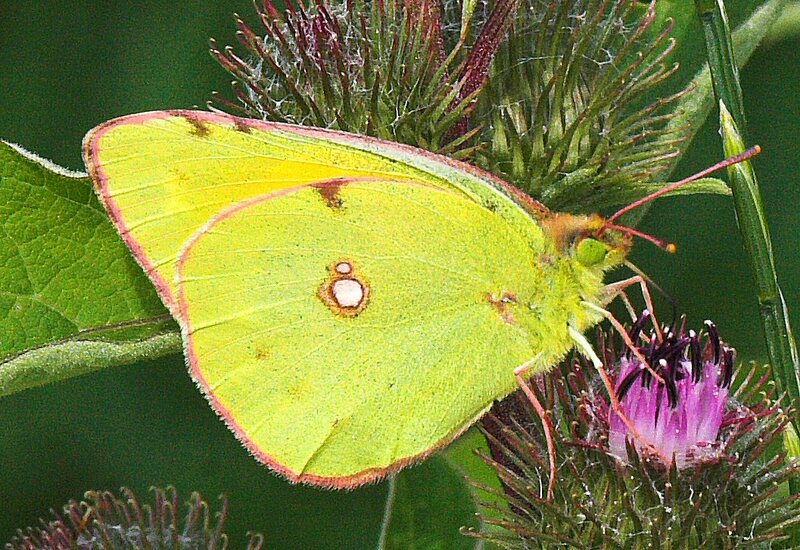 The Clouded Yellow has a distribution befitting a highly migratory species and can be found anywhere in the British Isles. 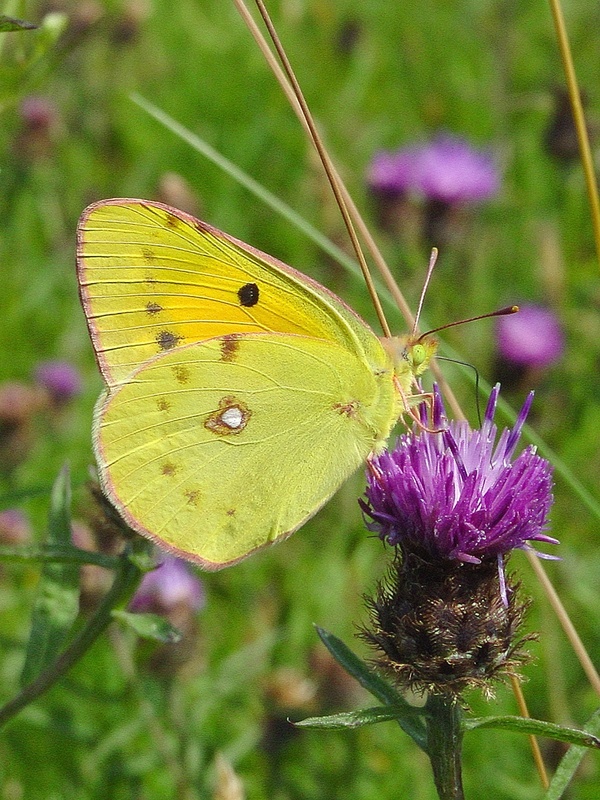 Many immigrants remain near the coast where they feed, mate and lay their eggs. Others disperse inland and this species has been found in both Scotland and Ireland in good years. There is no elaborate courtship and, having mated, the female is subsequently able to lay an extraordinary number of eggs with up to 600 being recorded from a single female. 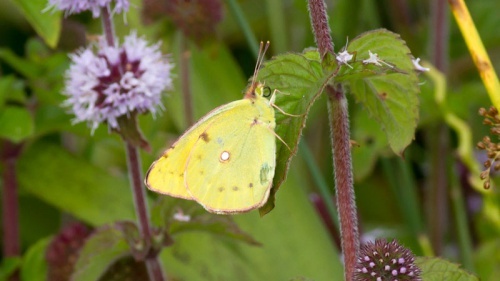 The skittle-shaped eggs are laid singly on the upper side of leaves of the food plant. 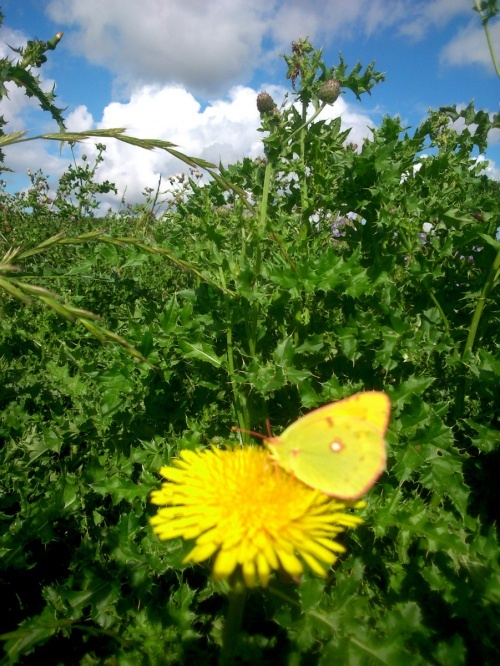 The main larval foodplants are various Clovers (Trifolium spp.) 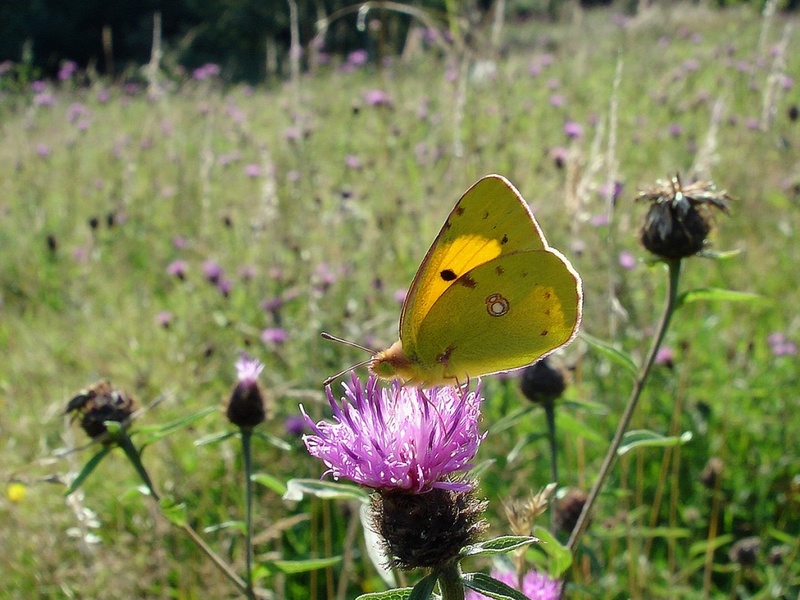 and Lucerne (Medicago sativa) but Common Bird's-foot-trefoil (Lotus corniculatus) is also used. Normally a scarce immigrant to Britain with less than 500 being recorded but in peak years numbers have been as high as 36,000. 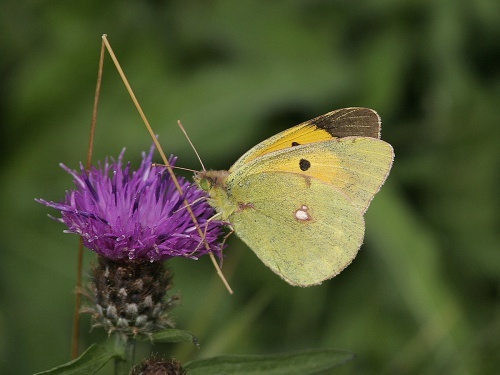 Although it is a common migrant to Leicestershire and Rutland in some years, it is rare in most. 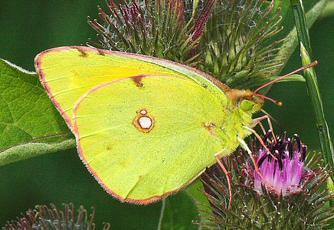 Clouded Yellow at Bloody Oaks Quarry.